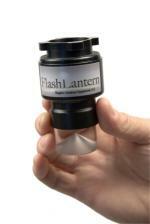 Drop in your LED flashlight ... make it a lantern! No globes, mantles, or bulbs to break! The accompanying 200 Lumen LED Tactical Switch Flashlight features a High Powered Cree® Solid State Diode – one of the brightest LEDs available in flashlights today! Drop in your LED flashlight ... make it a lantern! No globes, mantles, or bulbs to break! 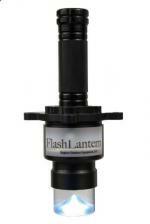 The FlashLantern System allows you to move your FlashLantern from one location to another. Why continually hang your lantern? Place a harness where light is needed and insert the lantern and twist to lock your lantern in place. 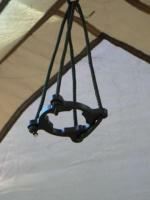 Place a harness in your tent or RV, your shower stall, outhouse or your cook shack. The 200 Lumen LED Tactical Switch Flashlight features a High Powered Cree® Solid State Diode – one of the brightest LEDs available in flashlights today! 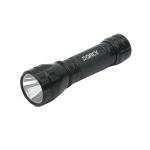 The 220 Lumen LED Submersible Light is the newest twist to the old flashlight. 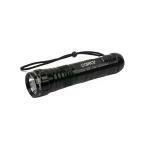 The Waterproof Light is guaranteed to be submersible to a depth of up to 100 meters! The NimoPD uses new LED technologies to provide safe bright light anywhere you need it without connecting any wires. The Wireless LED flood light uses a sophisticated motion sensor coupled with a photo sensor. The flood light will only turn on when it is dark and only when motion is detected. THE NIMO PD BRACKET creates a quick set up and take-down for the flood light.